ID cards will soon be the sole means of identification for expats in the UAE as they are set to are to replace work cards, health cards and even driving licenses in the near future. Thus expats will no longer be required to carry labour cards in order to gain work in the United Arab Emirates. Emirates ID are to be introduced in June of this year June. 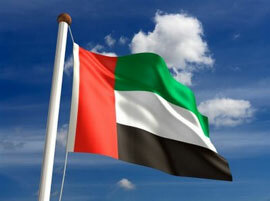 Expats in Abu Dhabi must file their applications by 1 April, this coming weekend. Expats in Dubai have more time, their deadline is 1 June. Expats found without the cards will face heavy fines of up to AED20 per day, reaching a limit of AED1000. The ID cards will also be required when registering for many UAE services, including monthly travel passes.